At just 10 years old, this young lady has the poise, confidence, determination and focus of a seasoned performer. 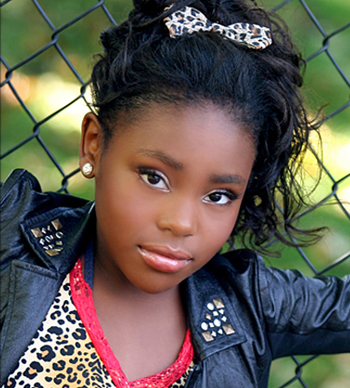 Since age 3, she has been on the stage, performing in numerous art forms: Dance, Acting and Modeling. She is sure to make your event, commercial, runway, or print ad grab the attention of those watching! Naomi has an innate ability to capture the eye, and she will surely be one up and coming starlet to watch!